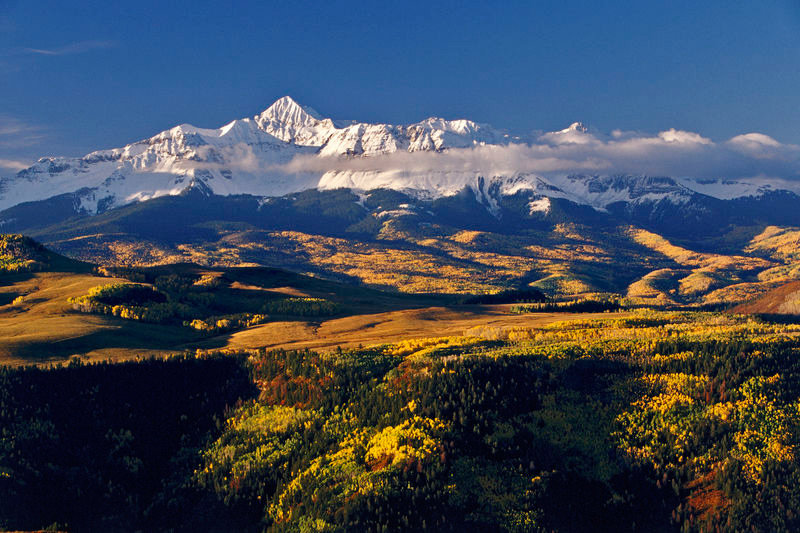 Wilson Peak, near Telluride in southwest Colorado, is a member of an exclusive and celebrated club, the Colorado 14-ers—the 54 mountains in that state that top 14,000 feet. It is also one of several Fourteeners where access has been frustrated by private ownership of key hiking access points—or even of the summits themselves. This fact caught the attention of mountain climber Erik Weihenmayer, a Colorado resident and the only blind person to have reached the summit of the highest peak on each of seven continents. In August, Weihenmayer ascended Wilson Peak to raise awareness of The Trust for Public Land's efforts to protect mountaintop access in Colorado. In October 2007, we finalized the purchase of 230 acres on Wilson Peak, including the summit. In December 2015, we completed the final phases of funding, ensuring that public access to Wilson Peak is now permanently protected.